Brax and DJ complain about the polar vortex, talk about the Lego Movie 2, and fly drones around the room. In between all that, they discuss hangups that don’t allow them to play certain races/classes in RPG’s and MMORPG’s. Enjoy! Brax pulls this one out of the archives. Back when I was a co-host on MMORPG.com’s Game On podcast, I had the opportunity (along with Ryan Getchell) to interview world renowned composer Inon Zur. I generally consider it the best/most interesting interview I’ve had the pleasure to be a part of. Thanks to Bill over at MMORPG.com for allowing me to re-release this episode! 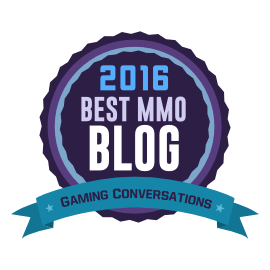 Make sure to check out MMORPG.com for all your MMO related news. If you follow me on Twitter, you know that there’s one MMO that I’ve been playing on and off (mostly off) over the last four years since the game was in beta: the Elder Scrolls Online (ESO). In the past, since my play was so erratic, it was difficult for me to get to a point where I felt sufficiently versed to craft a worthwhile blog post. Well, I’ve been playing (and enjoying) ESO for about three months now. Including the 6 month stint I played a little over a year ago, I now feel like I can speak somewhat intelligently about the game. It’s been a very long time since I documented my initial impressions on Contains Moderate Peril. For those of us who grew up in a mostly physical world, there are some virtual curiosities that cause us to pause and ponder. One of the most fascinating to me is how people relate to one another through games and social tools. One of my talents in real life is the ability to read nonverbal cues and adjust to the social situation accordingly. Since most virtual worlds are devoid of such cues, I have at times been left in difficult, sometimes even embarrassing situations. Suffice it to say, I’m still learning how to interact with other people through the electronic tools that are now so pervasive in our lives.